Why Restaurant PRs Insist On A Zomato Review From Bloggers? In today’s app dependent world, we use multiple apps for doing our day to day things, whether its booking flight tickets or a movie show, online shopping to booking a doctor appointment, today everything is done with an ease of an app on your mobile phone. One such common and a popularly used app is Zomato. As foodies, we often end up using Zomato to search for nearby food places, delivery options or cuisine specific restaurants on the app. Now the app also gives us the option of ordering food online. But whenever we are searching for a new restaurant, what’s the first thing that we end up checking? Yes, of course, it’s the rating of the restaurant. Well, the rating system works as simply as clicking on the number of stars you give to a restaurant overall, and the rating which is displayed on the main page of the restaurant is the average rating that it gets basis all users. But the question is, how many times do you end up rating a restaurant? 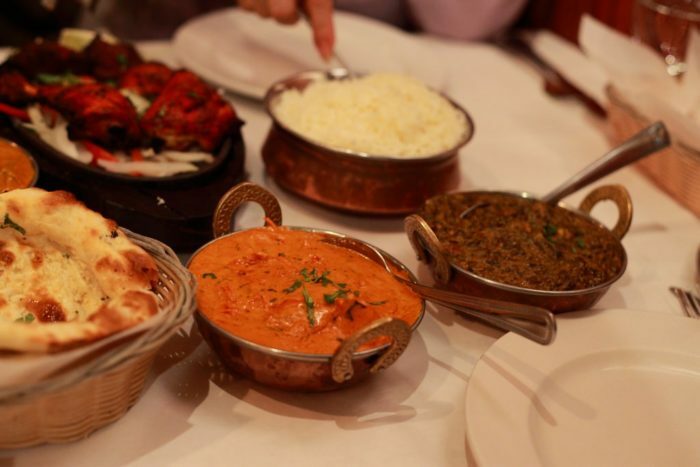 Your decision about eating from a place quite often depends on its rating, but after you have tried the food, do you make an effort of rating it, or writing a review for the restaurant? Then how does this all happen? The PR agencies of these restaurants do aggressive marketing with bloggers. They frequently invite food bloggers for special tables to review the food. And in return, the bloggers, have to rate and review the restaurant. About 60-70% of the ratings and reviews are because of food bloggers rather than customers. Every coin has two sides, so where some bloggers are very particular about writing only genuine reviews and give ratings, there is this other lot of young foodies, who aren’t bloggers, but just in hoard of getting free food, have started writing reviews on Zomato and the dirty truth is that more often than not, they under obligation from the PR to give high ratings. Even if the review is a 4-liner review, what matters most to the restaurant is its rating. 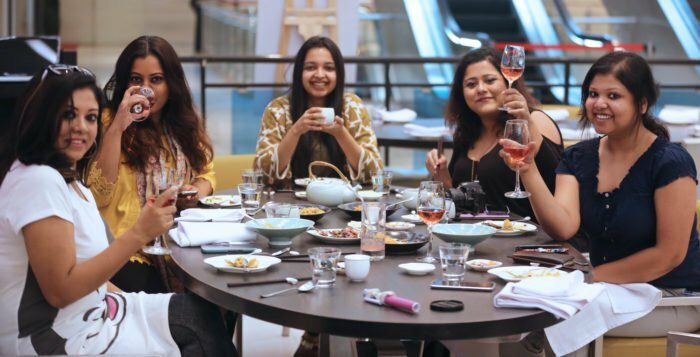 If you come to notice, you would find common names on the top 10 reviews on any restaurant, as these are the regular bloggers, who are looked upon by the followers and believed in. So there are chances of some reviews being written for the heck also, but usually, they are worth going by. “Majority of the Zomato reviews might be true (though there might be few which may not always be so), customers still rely partly on Zomato reviews for restaurants”, said Pankaj Lad, Nature’s Nest, Goa. How does the restaurant benefit? In return for free food, when the restaurant gets high ratings, as per the Zomato algorithm, the restaurant normally shows in the recommended sections, which means more eyeballs and likely conversions for the restaurant. This is one marketing strategy that has been working successfully for all restaurant brands and they completely believe in it. 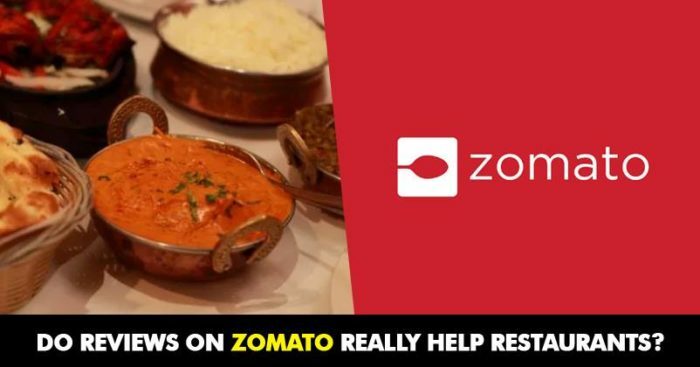 Do you check a restaurant’s Zomato rating before ordering your food?